This selection of notes on, and quotes from, the correspondence of city planner Pierre Charles L'Enfant, George Washington, Thomas Jefferson and others concerned in the growth of Washington DC are presented as background information to detail the chronology of events. They also demonstrate that Ellicotts street plan did not vary greatly from L'Enfants plan. July 9, 1790 The passage of the Residence act fixed the government on the banks of the Potomac. January 17, 1792 L'Enfants report to Washington reiterated his vision "...on the grand scale I propose...." [p. 113] Early in 1792 L'Enfant had a serious falling out with the Commissioners. February 6, 1792 L'Enfant wrote Washington threatening to quit unless he had full and independent authority in the design. February 1792 Ellicott who had surveyed the ground for L'Enfants city plan, prepared a plan of the work undertaken to date, with his understanding of L'Enfants plans. They were sent to the engravers by Jeffersons orders. 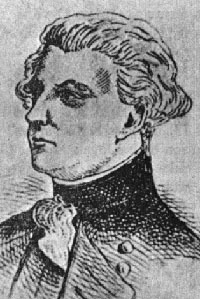 L'Enfant complained bitterly on February 17, 1792 that major changes had been made to his plans and insisted he be allowed to correct the plans before they were engraved. On February 22nd Washington asked Jefferson to let L'Enfant point out any "radical defects" that wouldn't take too long to correct. February 26, 1792 Jefferson wrote Washington asking that both his and L'Enfants letters be sent to Madison and the attorney general for their opinions. February 27, 1792 Jefferson wrote L'Enfant advising him that his services must end. March 9, 1792 13 of the 15 proprietors signed a petition to reinstate L'Enfant. L'Enfant believed Jefferson had manouvered him into resigning [p. 172] and interfered with the mails to prevent him receiving a letter from the proprietors urging his return. Elizabeth S. Kite, L'Enfant and Washington 1791-1792 New York, Arno Press & The New York Times: 1970, (Baltimore: The Johns Hopkins Press, 1929). Manuscripts quoted are in the collection of the Library of Congress.